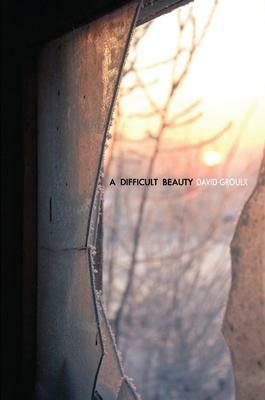 An accomplished poet with several books of poetry, David Groulx presents us with a new collection, A Difficult Beauty. And with it, he gives us a glimpse into the physical, emotional, and spiritual losses experienced by the Aboriginal peoples at the hands of white colonials. His compilation covers the theme of subjugation that began centuries ago but still remains, the results of this bigotry seen in everyday occurrences well illustrated in the book. Groulx’s volume is full of yearnings, pain, and frustration; the writing is honest, lucid, and relentless in its efforts to understand the injustices heaped upon an unsuspecting but thriving culture. The selection of the word “silence” is unusual and brings home the revelation that not only does this advancement bring changes to the land by ripping it apart and covering it with pavement, but it also culminates in the disappearance of a way of life. The change is so oppressive that silence has no choice but to flee. As well as the invasion of the land, Groulx speaks of the assault upon men’s and women’s lives resulting in their subsequent ruin. In the poem “Emptying the Graveyard,” the poet provides tough yet powerful images: “a few drunks following / what was left of the moon” and “the hookers wander home / their wallets full / as their mouths were” (18). The vignettes suggest that once the colonials debased the Aboriginals of their culture, they then created a new one incorporating the “drunken Indian” and the “whore,” images they used to their own advantage. Once established, this attitude dominates to this day, thus furthering intolerance. The sad conclusion is that the poet’s persona also sees his people in this light but feels powerless to do or say anything, and the poem ends with the lines “we are like cockroaches / scurrying before the sun” (18). It is as if the people have become less than human. The father wants to show affection towards his son but falls short. This poignant portrait reiterates the despondency of a defeated culture. It is also a metaphor for Aboriginal traditions being stifled by white society, resembling a schoolyard bully’s antics. It is a sobering picture of a society harbouring racism, and as long as that prejudice continues reconciliation cannot take place. Hamilton, ON: Wolsak & Wynn, 2011, ISBN978-1-894987-57-8, 101 pp., $17.00 paper. Buy A Difficult Beauty at McNally Robinson Booksellers.